My husband is heading to Chicago next week for work (and the Arrows and I are tired of being left behind! ), so we're tagging along to to visit a few friends, hopefully hit a museum or two, and enjoy a little getaway. It's been over a year since I roamed Chicago with Big Arrow. I'm looking forward to doing it again with both Arrows. Expect to hear more about that soon, but for now I'll post a couple of photos of The Bean, just one of many iconic Chicago landmarks. Hard to believe Big Arrow was barely walking in this picture! Now he'd probably try to see how many times he could run around it. 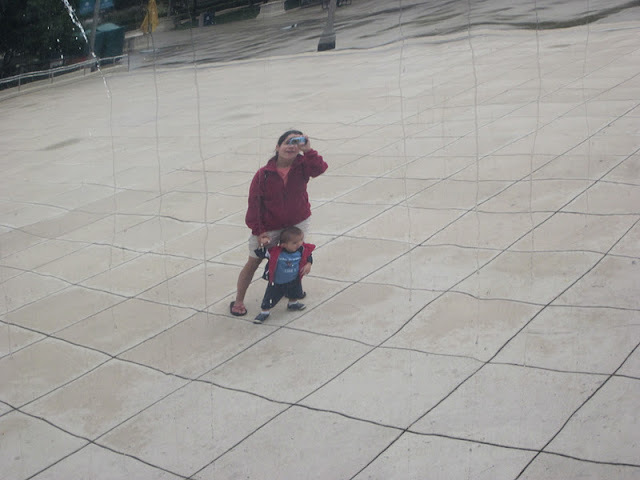 You can read more about our visit to Millennium Park here. 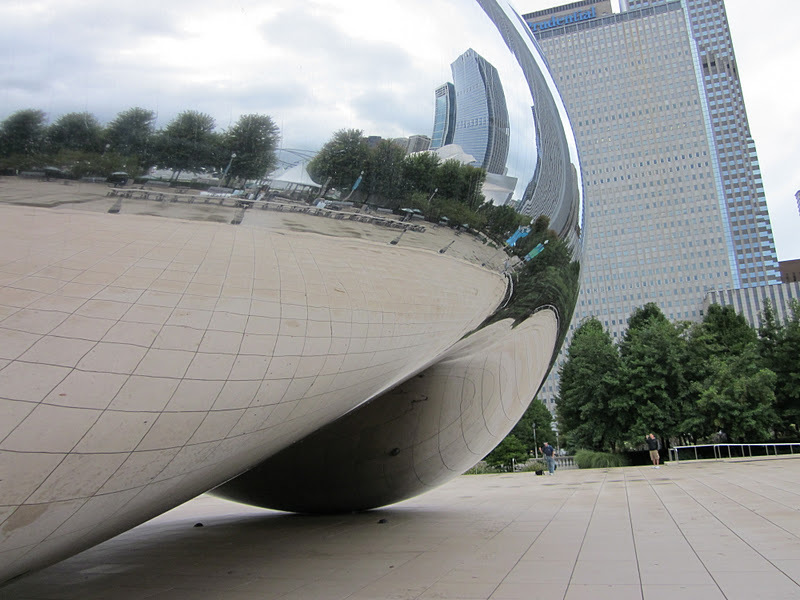 What's your favorite thing to do in the Windy City? Did you kick everybody else out of the square to take your pictures of The Bean? I don't think I've ever seen a picture of it with nobody else around. It’s amazing to see how fast kids grow! The same happened with me and my baby boy. The first time we visited Belize as a family he was the cutest baby. By the time we made our second trip to Belize he was running all over the place trying to touch every thing. I'm all over this with this kind of write-up, I seriously believe this site needs far more attention. I’ll probably be returning to see more, thanks to the info!